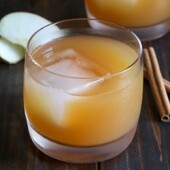 An easy and flavorful Fall cocktail perfect for all apple cider fans! Add ice to a cocktail shaker. Add whiskey, lemon juice and apple cider. Shake until thoroughly chilled. Pour over ice and enjoy.